YUM! This recipe looks so great! I have been trying to do as much whole wheat as I can squeeze into our diet around here! Thanks for sharing! These clearly don't count as baked goods since they're healthy right? Because I intend on making them ASAP. These sound fantastic! 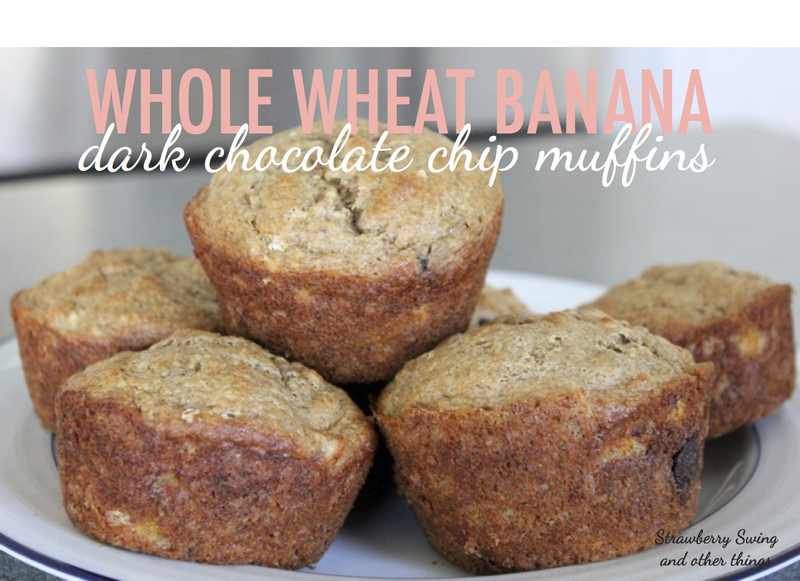 Owen loves muffins (we do too of course), so I'm going to try these. I think I even have everything on hand to make them. We usually run out of bananas before they're ripe too, especially since Owen has decided he likes to eat them now. Happy Hump Day! These sound awesome! I have a recipe I love but not anywhere as healthy! Totally saving this for our next baking adventure! These sound amazing!! I love making muffins and cookies with Nathan when we can't go outside (ie this whole winter). Thanks for the recipe! don't you just when you come across a recipe you can actually just make on the spot? !